A science-based rebuttal to the theory of global warming? (by Steve Gorman, Washington Times) – On September 23, the Intergovernmental Panel on Climate Change (IPCC) is scheduled to release the first portion of its Fifth Assessment Report (AR5). AR5 will conclude once again that mankind is causing dangerous climate change. But one week prior on September 17, the Nongovernmental International Panel on Climate Change (NIPCC) will release its second report, titled Climate Change Reconsidered II (CCR-II). My advance review of CCR-II shows it to be a powerful scientific counter to the theory of man-made global warming. The IPCC was established in 1988 by the UN’s World Meteorological Organization and the United Nations Environmental Program. Over the last 25 years, the IPCC became the “gold standard” of climate science, quoted by all the governments of the world. IPCC conclusions are the basis for climate policies imposed by national, provincial, state, and local authorities. Cap-and-trade markets, carbon taxes, ethanol and biodiesel fuel mandates, renewable energy mandates, electric car subsidies, the banning of incandescent light bulbs, and many other questionable policies are the result. In 2007, the IPCC and former Vice President Al Gore shared the Nobel Peace Prize for work on climate change. 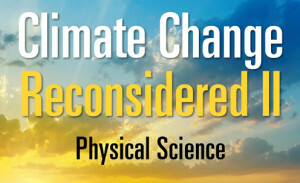 The Nongovernmental International Panel on Climate Change (NIPCC) was begun in 2003 by Dr. Fred Singer, emeritus professor of atmospheric physics from the University of Virginia. Dr. Singer and other scientists were concerned that IPCC reports selected evidence that supported the theory of man-made warming and ignored science that showed that natural factors dominated the climate. They formed the NIPCC to offer an independent second opinion on global warming. Steve Goreham is the Executive Director of the Climate Science Coalition of America (CSCA), a non-political association of scientists, engineers, and citizens dedicated to informing Americans about the realities of climate science and energy economics. CSCA is the US affiliate of the International Climate Science Coalition. Published September 10, 2013 at The Washington Times. Reprinted here September 19, 2013 for educational purposes only. Visit the website at washingtontimes.com. 1. a) What organization established the IPCC? b) What conclusion has the IPCC made about the theory of global warming? c) How does the IPCC’s AR5 report affected U.S. government energy policies? 2. a) Why was the NIPCC established? b) What is the NIPCC’s CCR-I? c) How does the Chinese Academy of Sciences view the CCR-I? 3. a) What does the Global Warming Petition Project’s petition state? b) How many American scientists have signed the Global Warming Petition? 4. In the last paragraph of his commentary, Mr. Gorman asks: “Each year the world spends over $250 billion to try to decarbonize industries and national economies, while other serious needs are underfunded. Suppose we take a step back and ‘reconsider’ our commitment to fighting climate change?” Do you think the information he provides in this commentary makes the case to do so? Why or why not? 5. Why do you think the media does not publicize the fact that a large number of scientists do not believe in the theory of man-made global warming? The Intergovernmental Panel on Climate Change (IPCC) is scheduled to release the first portion of its Fifth Assessment Report (AR5). AR5 will conclude once again that mankind is causing dangerous climate change. 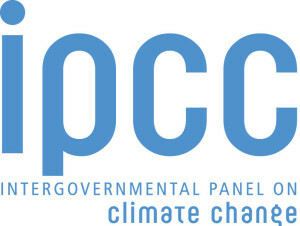 The IPCC was established in 1988 by two United Nations’ agencies: the World Meteorological Organization and United Nations Environmental Program. It is funded by the United Nations. The Nongovernmental International Panel on Climate Change (NIPCC) will release its second report, titled Climate Change Reconsidered II (CCR-II). CCR-II is a scientific counter to the theory of man-made global warming. The NIPCC was established in 2003 by Dr. Fred Singer, emeritus professor of atmospheric physics from the University of Virginia. The Nongovernmental International Panel on Climate Change is a project supported by three independent nonprofit organizations: Science and Environmental Policy Project, Center for the Study of Carbon Dioxide and Global Change, and The Heartland Institute. Global Warming Petition Project: Former Vice President Al Gore and other proponents of the theory of global warming believe the U.S. and the rest of the world should ration world energy production based upon fear of human-caused global warming. For more than 10 years these proponents of world energy rationing have consistently argued that, in view of this claimed scientific “consensus,” no further discussion of the science involved in this issue is warranted before legislative action is taken to heavily tax, regulate, and ration hydrocarbon energy.